Johanna Cipau is an associate with Keller Landsberg PA focusing primarily on commercial litigation and insurance coverage. 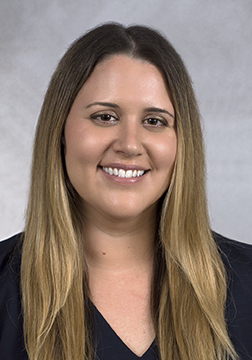 Ms. Cipau began her legal career as an Assistant Public Defender for the 17th Judicial Circuit, working on criminal cases ranging from misdemeanors up to first-degree felonies and, ultimately, as a division lead in the felony division. Prior to joining Keller Landsberg PA, Ms. Cipau worked with law firms in Miami-Dade and Broward Counties representing clients in business and commercial litigation, including contract disputes and coverage matters. Ms. Cipau earned her J.D. with a Certification in Criminal Law from The University of Mississippi School of Law in 2010. She completed her undergraduate studies at Boston University, graduating with a Bachelor of Science in Business Administration, with concentrations in Finance and Business Law in 2008. While in law school, Ms. Cipau interned with the Office of State Public Defender in Lafayette County, Mississippi and as a judicial clerk for the 16th Judicial Circuit of Florida. Ms. Cipau is admitted to the Florida Bar and the United States District Court, Middle and Southern Districts of Florida. She is also a member of the Broward County Bar Association and the Junior League of Miami.